Gardening can be intimidating. Every single gardener makes mistakes whether we are novices or experts. We are plagued by insects, plants that sometimes fail to succeed and spring bulbs that never seem to bloom despite beautiful foliage. Often we are left to troubleshoot things on our own. We know that next year there will be another growing season, a chance to start fresh. I was very happy to find that there is a new book on the market for the less experienced gardener that suddenly makes easy practical sense out of mysteries of gardening and helps to troubleshoot and prevent problems from even occurring in the first place. Timber Press Publishing is known for their wonderful gardening publications. 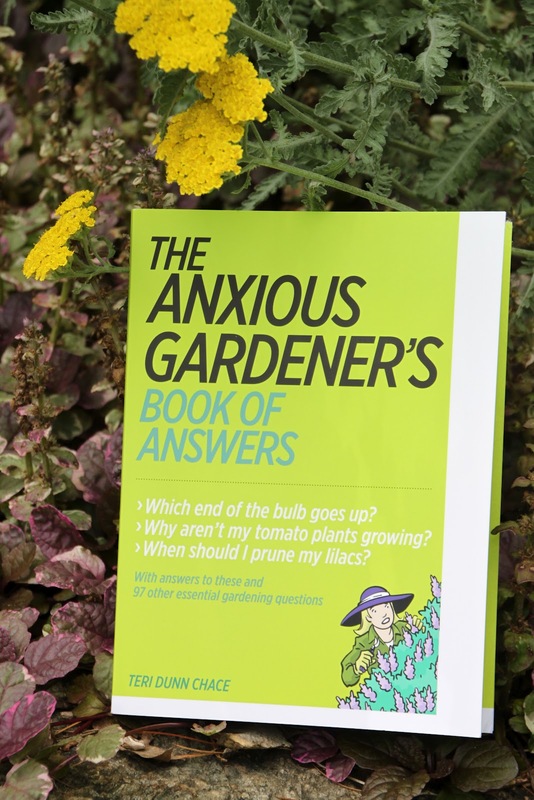 The Anxious Gardener’s Book of Answers by Teri Dunn Chace is like a cheat sheet for gardeners. Don’t be fooled by its compact size. It includes 24 chapters and over 100 answers for your most common gardening questions. It is thorough and comprehensive but does not get bogged down with too much scientific information for the recreational gardener. Spanning all four seasons, bulbs, container gardening, pesticides/chemicals, lawn, roses, shrubs, vines, watering, weeds, soil and composting are all included. This book can easily be read cover to cover or serve as a reference guide when there is a specific question. It is wonderful. Tilly’s Nest is proud to partner with Timber Press in their GPS Campaign over the next couple of months. The GPS, or Garden Problems Solver, allows readers a chance to ask the experts their own gardening questions. With each question you ask, you will be entered to win a weekly prize as well as the grand prize-an iPad. Feel free to submit multiple questions: we know we all have them and the best part is you just might be “rewarded” for your question. Readers of Tilly’s Nest will get an added bonus. Leave a comment below to win your very own copy of The Anxious Gardener’s Book of Answers. Be sure to follow our blog. In your comment, leave your name and a means to contact you such as an email address. This item will ship to US addresses only. One entry per person. Contest ends 6.23.12 at 12 midnight EST.